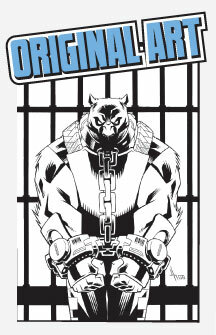 I don't think this cover has been shown anywhere yet, so you get an exclusive preview here. Who else would do that for you? First up is the layout/design. 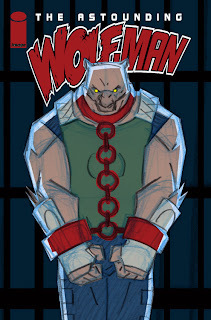 Pretty simple concept, Wolf-Man goes to jail. And now the finished piece. The color scheme changed a bit, but otherwise it stayed pretty close to the sketch. Looks like I have a new favorite cover, gentlemen. 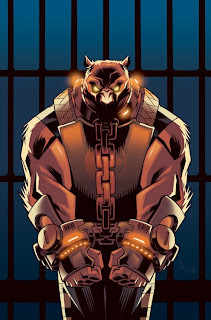 Wolf-Man looks pissed to be in those shackles! Like the barcode detail on the cuffs too. Great stuff as usual Jason! 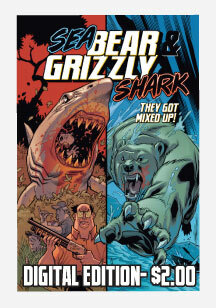 All I can say is "that one badass cover ever I seen so far." Well done Jason!! As always, the step by steps are a real treat. Thanks for sharing!